Tony Stark had to start somewhere right? 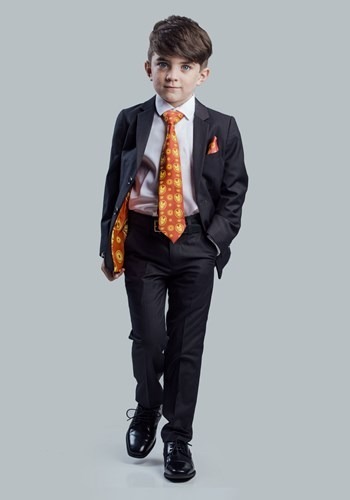 He might be young, but maybe he's the next genius, billionaire philanthropist. 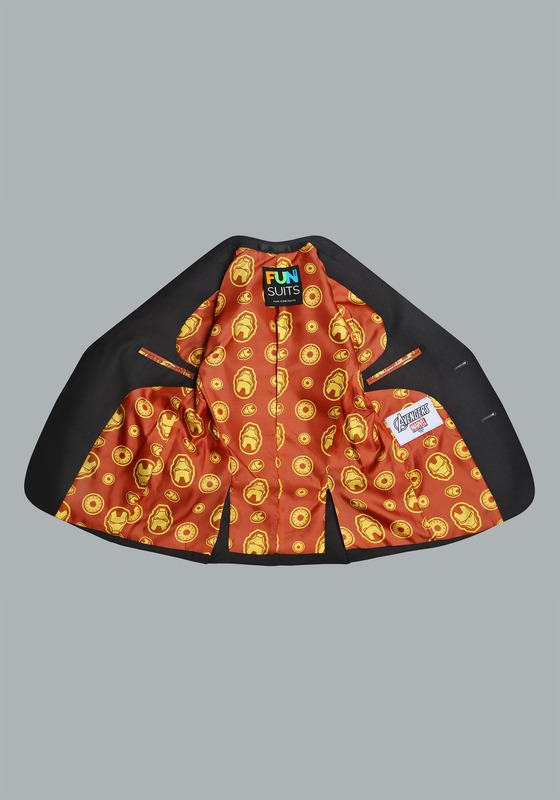 Get him started with this exclusive Secret Identity Iron Man suit for kids. 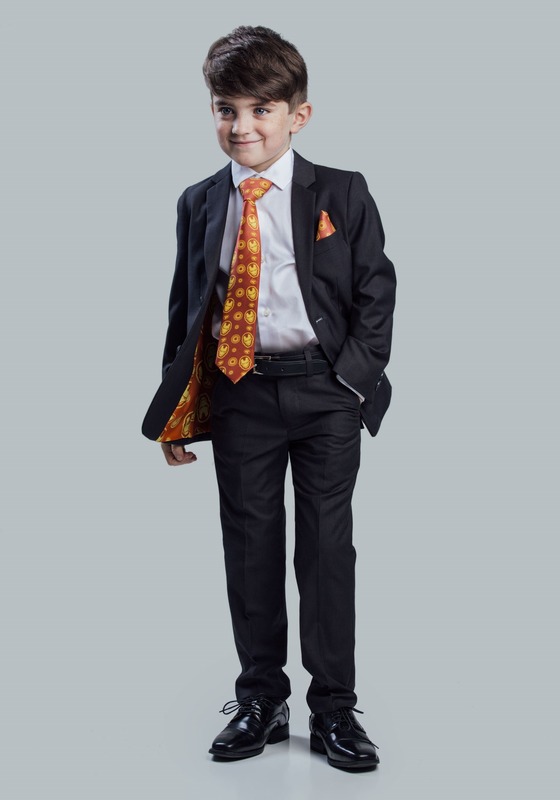 With a deep charcoal finish, embroidered Iron Man helmet on the sleeve, and signature arc reactor buttons, he's going to look like a dashing young Tony Stark Jr. at the big event. 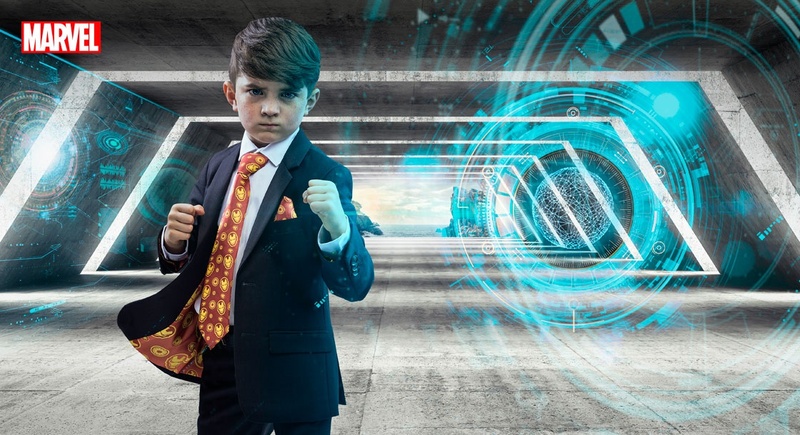 But he'll be the only one who knows his secret identity as an undercover Avenger. 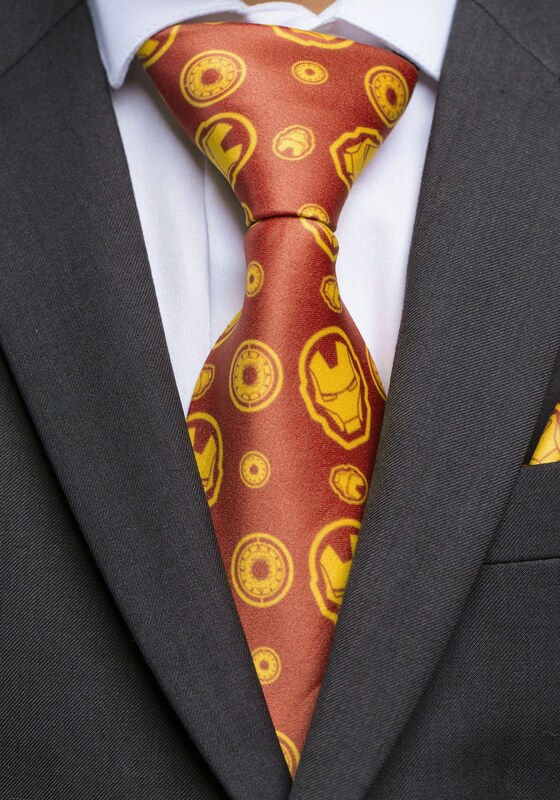 The brilliant interior print has a collage of Iron Man helmets alternating with arc reactor logos, and they're only to be revealed when and if he chooses (but the matching print tie and pocket square give a little hint). 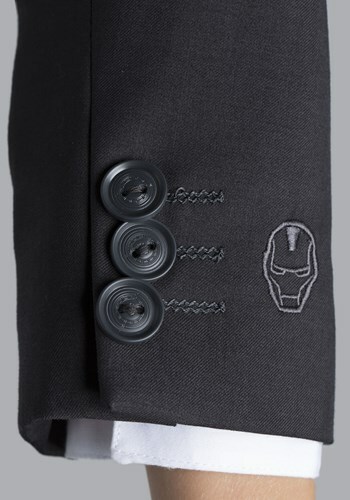 He's sure to secretly feel just like Iron Man the whole time, even if the Mark IV suit is stored securely at home base. For the price, I would've expected a bit better material. 2 buttons fell off in the first 3 hours of wearing it.